1 x Master. King walk around Bed with TV at foot. 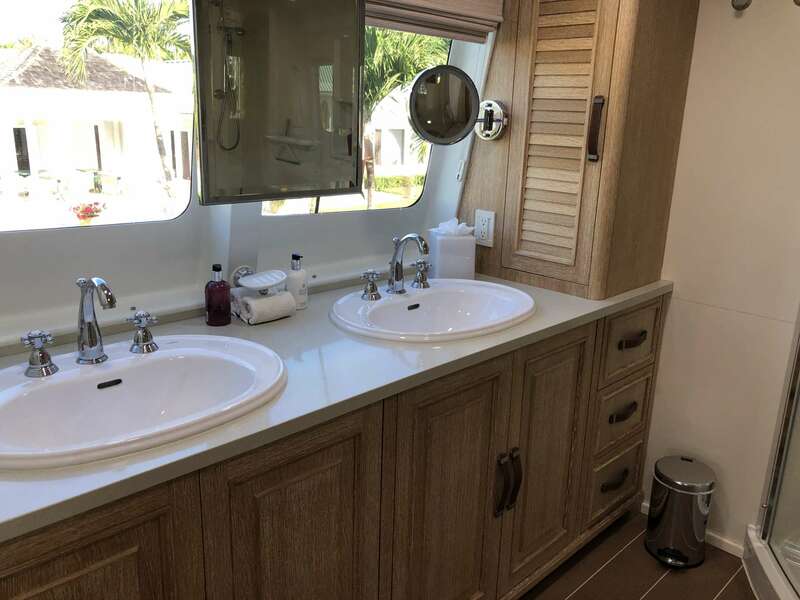 double basin En- suite bathroom with shower and electric toilet. 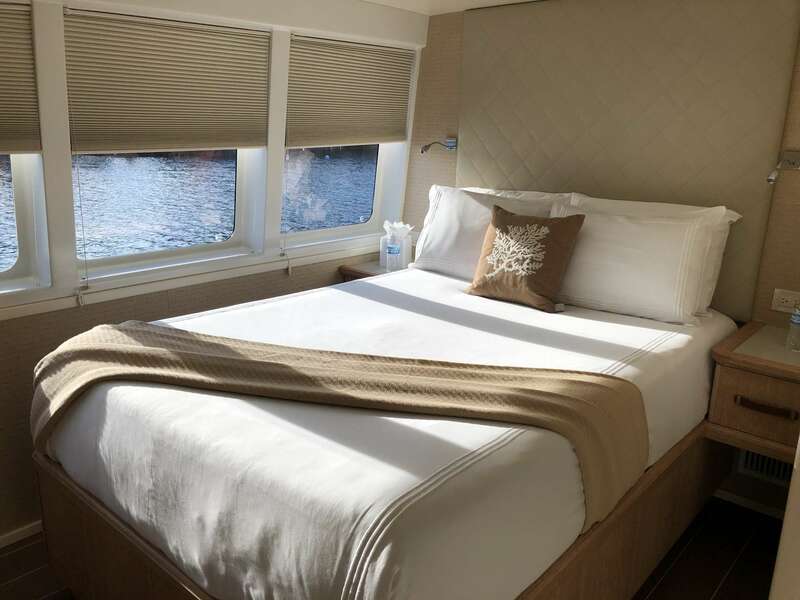 1 x Guest stateroom. Queen bed with TV. 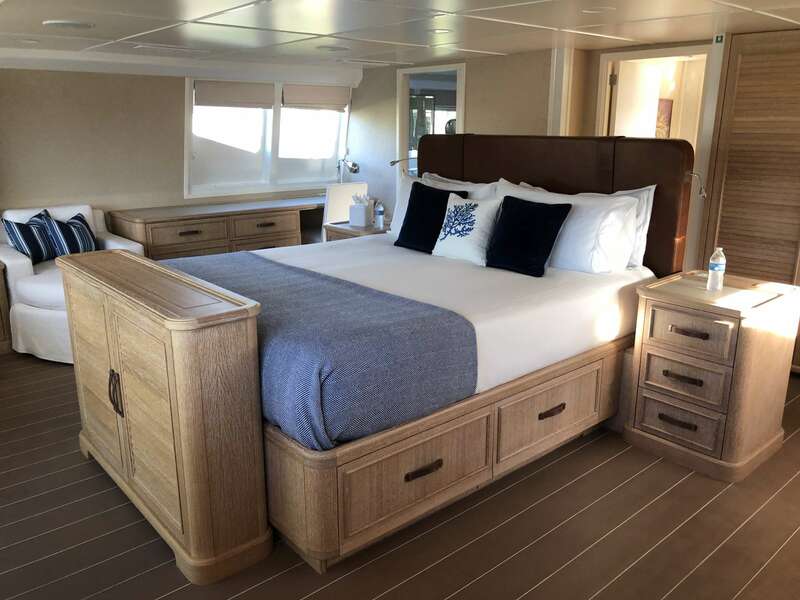 1 x Guest Stateroom with King size bed. En- Suite bathroom and shower. Includes 3 crew. Professional captain, gourmet chef, experienced stewardess. 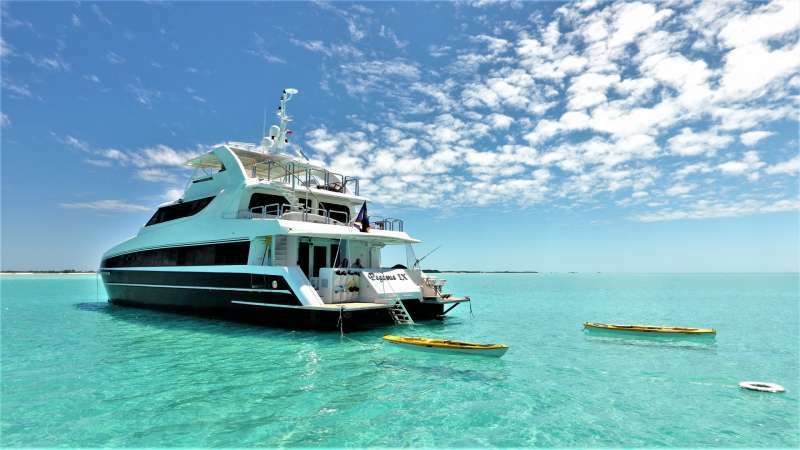 Daily Rate Bahamas : Up to 9 people, $5500 + fuel, provisions and bar (APA). The APA is subject to change due to fluctuating cost of food and fuel. 8 hours onboard. $250 per hour thereafter. Max 10 hours. Fuel and provisions (APA) costs subject to change estimated at 30% of charter rate. 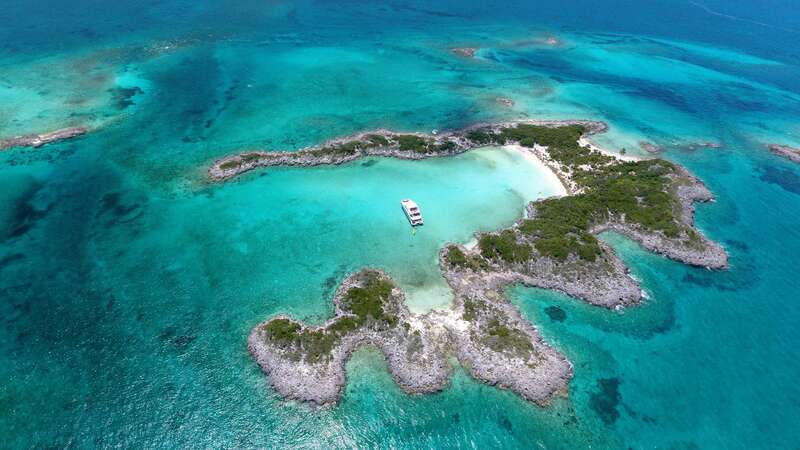 Pro-rated Rate: Minimum 4 nights ( pro rated from $28,000 ) noon till noon Eg, 4 days : $16,000.00 + 4% Bahamas Tax ($1,280.00) = $17,280.00 + Fuel and provisions @ an estimated 35% ($6000.00) = $23,328.00 rate for 4 days 6 persons. 6ft x 20ft Lilly Pad. 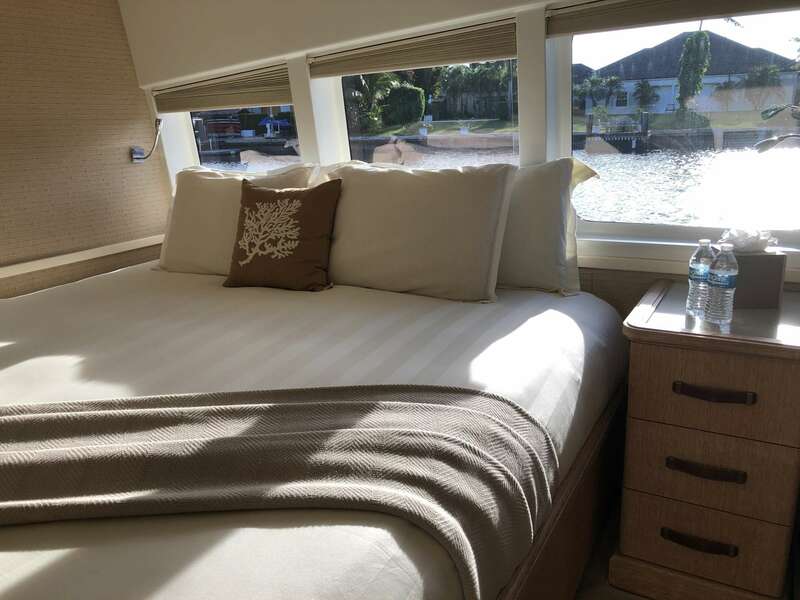 Our efforts to deliver you a 1st class vacation don't stop with the boat. Our culinary trained chef Elizabeth Lee will tantalize your taste buds at every meal. Trained in British Columbia, she has progressed from fine dining resturaunt's in Whistler to yachting in 2003 and has traveled the world aboard private and charter yachts, honing her skills and developing her repetoir of classical local dishes and fusing them to create beautifully presented, outstandingly delicious works of art. 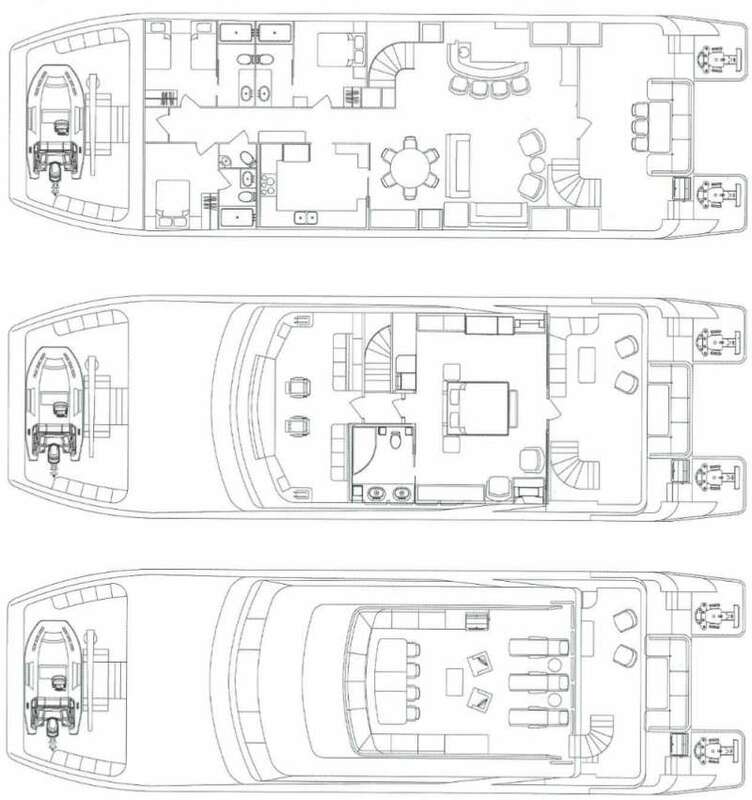 MCA MASTER 3000 YACHT CAPTAIN. 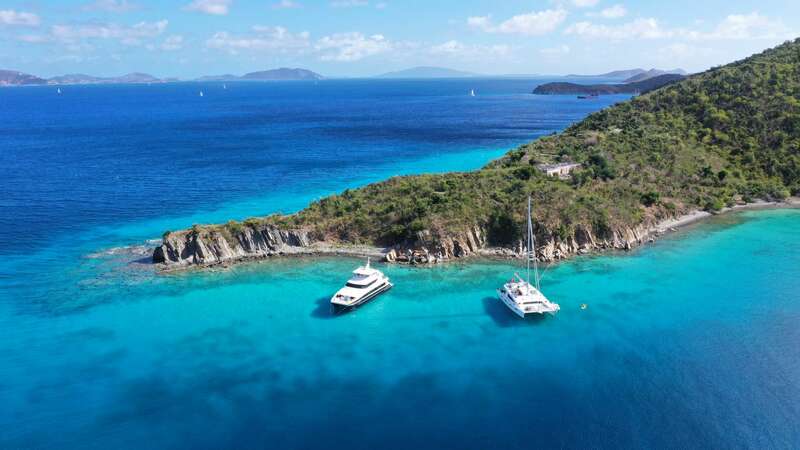 Although Warren’s foundations in yachting were planted at an early age, his entry into the commercial sector began in 1994 when he joined the UK Sailing Academy to achieve the licenses required to operate larger yachts that were available for charter. 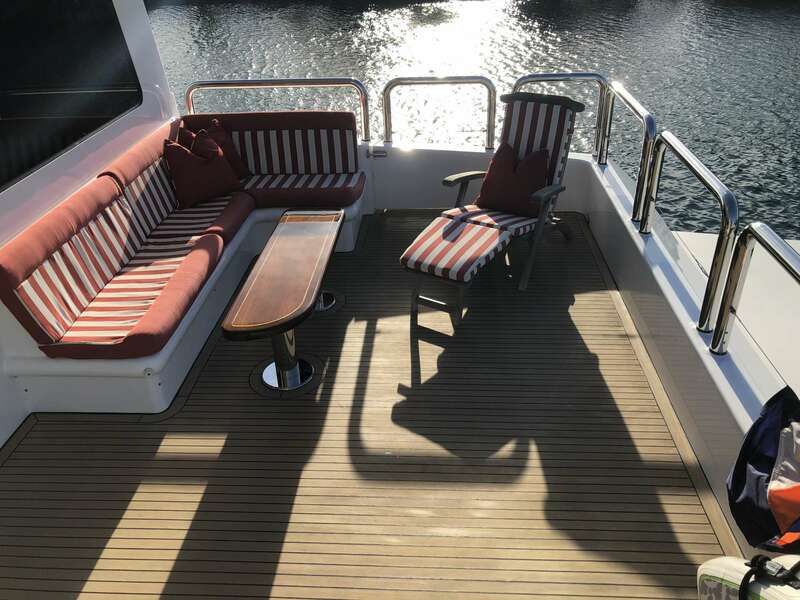 His progress throughout the years has continued and the experience he has gained along the way has positioned him as an expert in all elements of yachting and chartering. 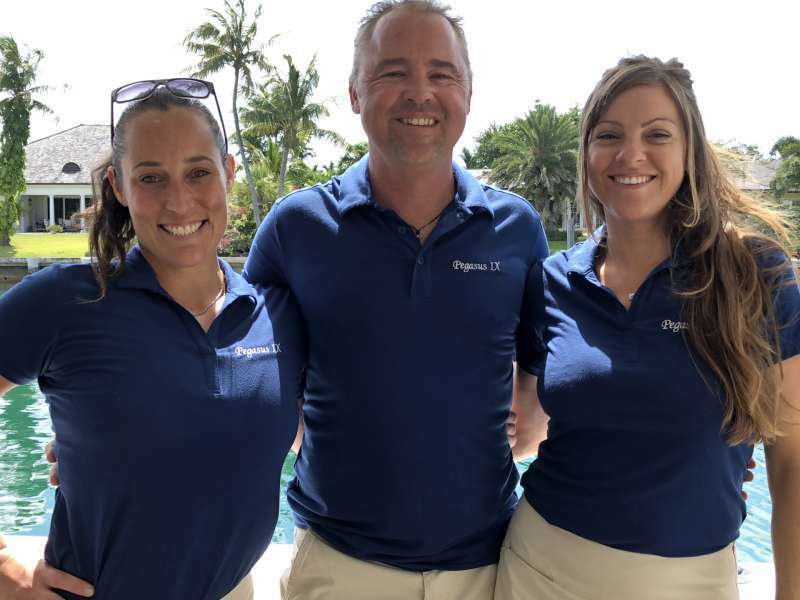 His dedication to providing an exceptional vacation and service has been proven time and time again with the great references his past guests have given. Maritime Coastguard Agency and Marshal islands Master 3000 captain's license, Padi Divemaster, acclaimed photographer and drone pilot. 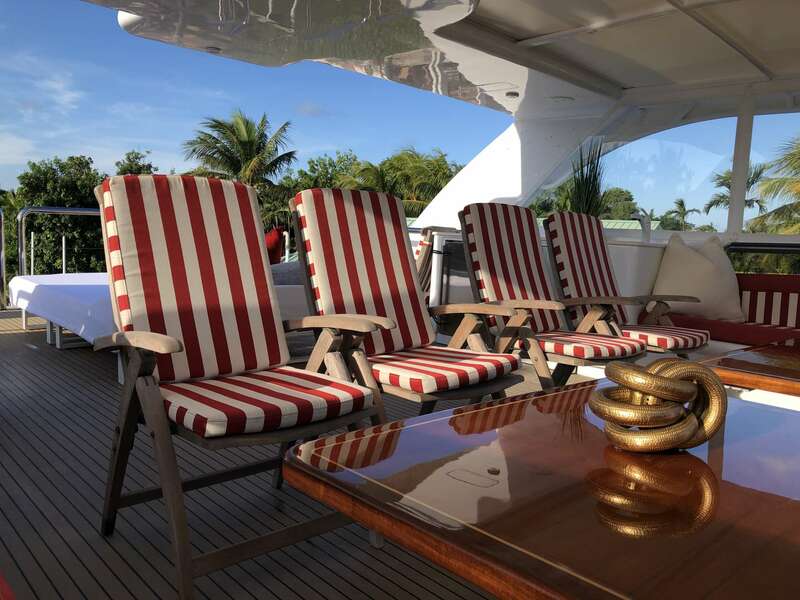 He has completed more than 450 successful charters in destinations worldwide since 1995. including extensive cruising in the Bahamas. 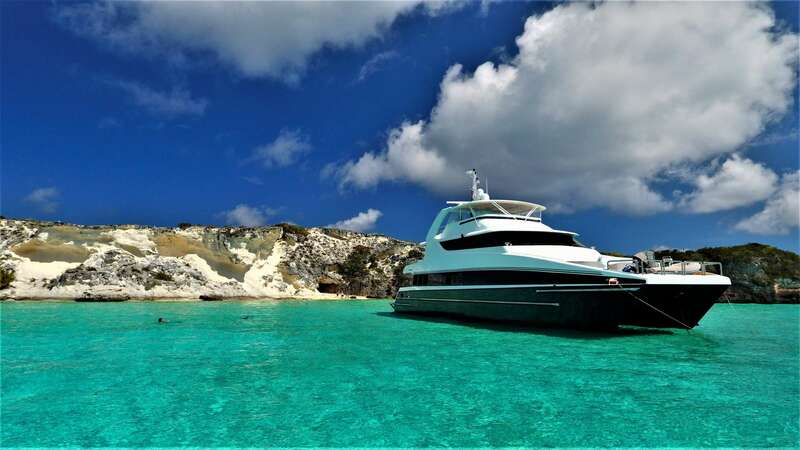 He and his Wife, Elizabeth lee, also own their own 85ft yacht which they have successfully established as a charter yacht in Turkey and the Greek Islands since 2011. As of Jan 2018, he has logged 550,000 nautical miles at sea. Chef Elizabeth graduated from Kelowna University of Culinary Arts in 2001. She worked as sous Chef at a five star, fine dining, Italian Restaurant in Whistler, British Columbia’s premier ski resort. Following this she made the move into the yachting sector and quickly progressed to become a renowned chef in the industry. 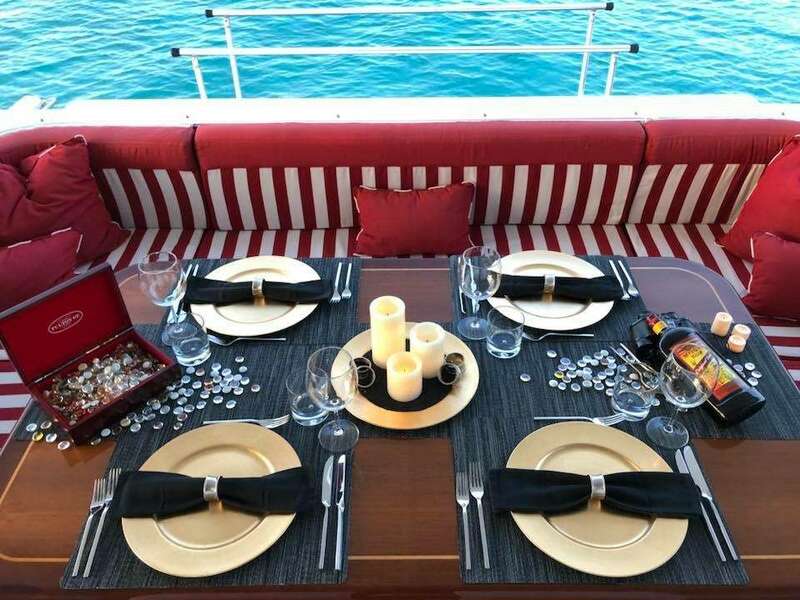 As a yacht chef Elizabeth won various competitions throughout the Caribbean and Mediteranian, including Concours de Chef and Chef of the Year in the prestigious St Martin, Antigua and more recently the Marmaris charter yacht show in Turkey. 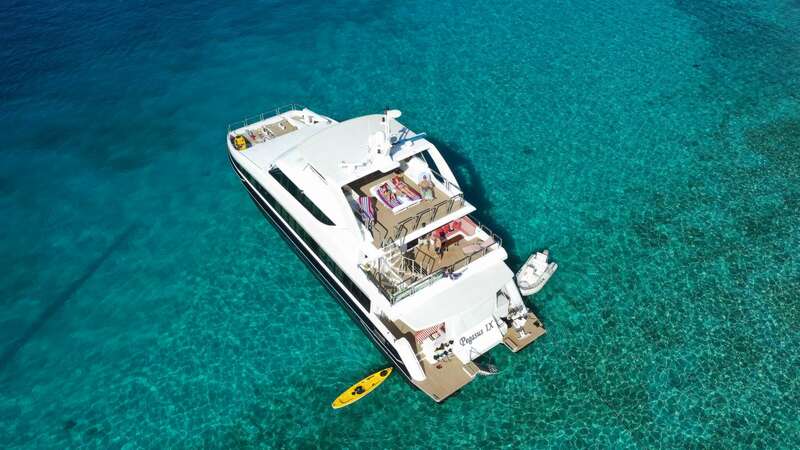 In 2006, Elizabeth teamed up with Warren and together they successfully operated both a 73ft catamaran and a 98ft catamaran for seven years. This experience, which introduced her to many cultural elements around the world, inspired her to raise the bar and augment her repertoire by studying multinational styles of cuisine and "haute" and "nouvelle" cuisine including sous vide and molecular gastronomy. She enthusiastically demonstrates her talents wherever and on whatever she sails. In 2008, Elizabeth followed in her mother's footsteps and began writing her own cookbook titled “ Made With Love”. The recipe book is comprised of dozens of wonderful dishes, illustrated through an array of stunning photographs taken by Warren. 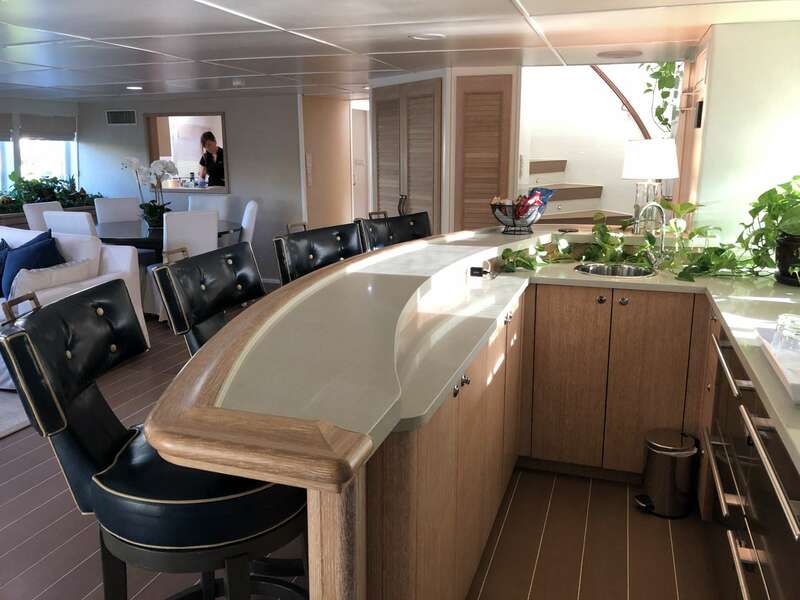 As Chef aboard Pegasus 9 , Elizabeth serves her guests a tantalizing selection of her gourmet creations, made with only the finest and freshest ingredients purchased in fresh markets and prepared according to guests’ appetites and preferences. 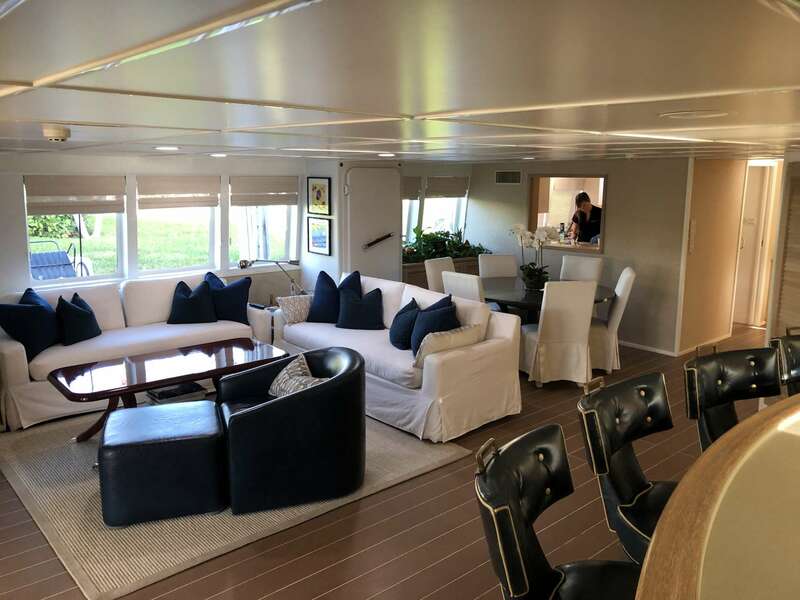 Warren and Elizabeth promise to provide you and your friends or family with an outstanding vacation on board Pegasus IX. They are highly skilled, very knowledgeable, and genuine proponents of service with big smiles. 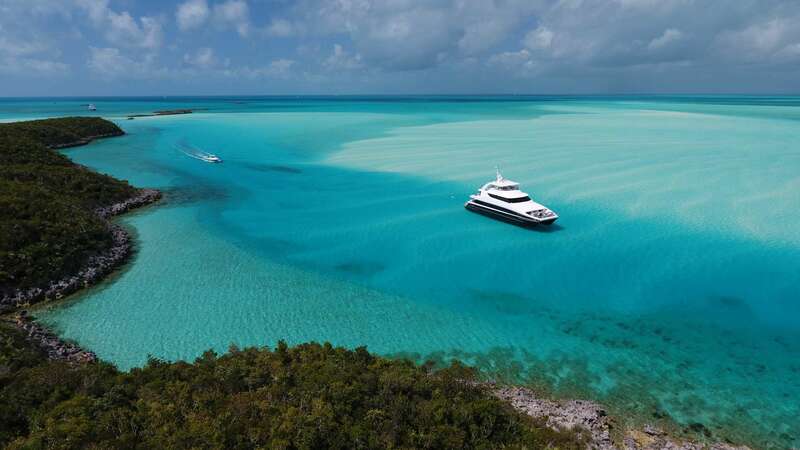 Warren has been taking advantage of the boats 4ft draft for 2 years now and has surveyed the Bahamas thoroughly. 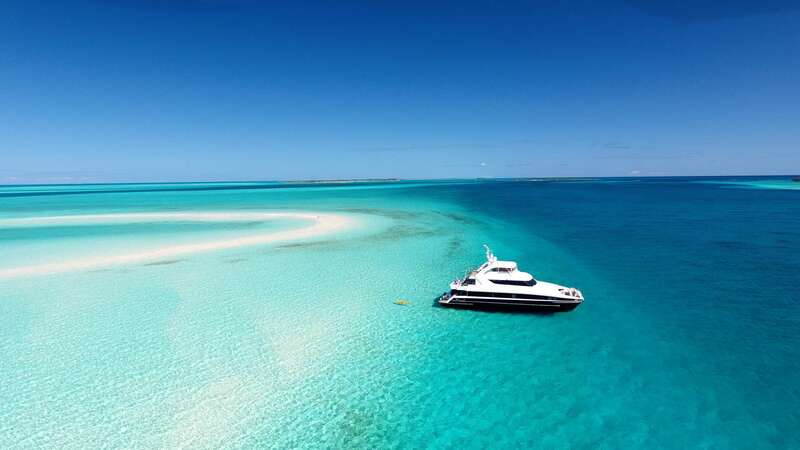 They promise to take you on a voyage of discovery that you will never forget and leave you loving the Bahamas and wanting to come back for more. 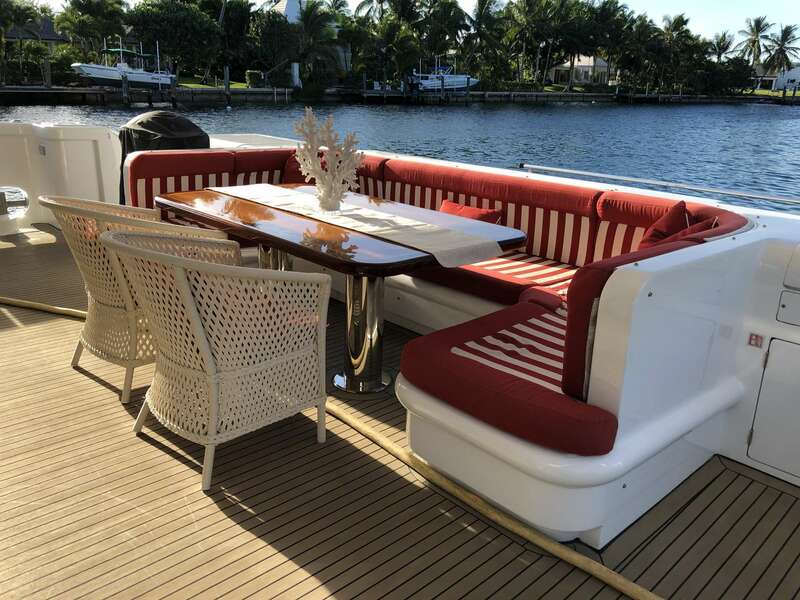 Vitorias first teamed up with Warren and Elizabeth back in 2006 when they worked together aboard a custom sailing catamaran which sailed back and forth across the Atlantic on a busy charter schedule. 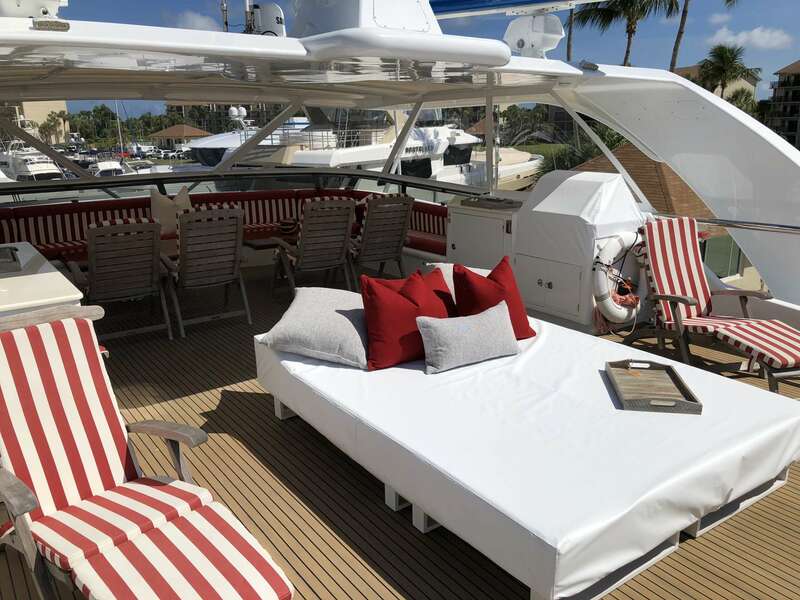 Since then, She has worked on several large super yachts, both power and sail and has honed her skills as a service professional. 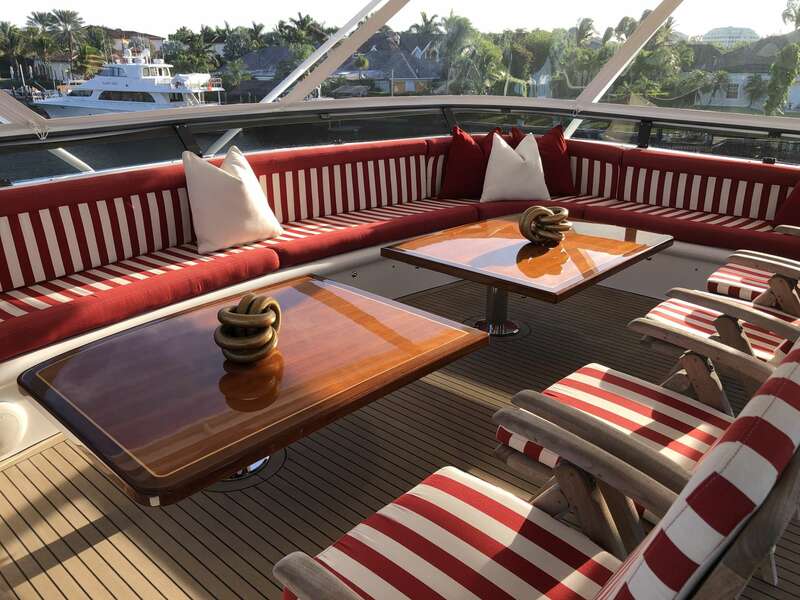 With a light and bubbly personality, she is sure to keep you entertained and busy throughout your time aboard Pegasus.